I play Cities:Skylines and I have 800+ subscribed-to items in the workshop. I haven't played for a while (2 new expansions since) and I would like to do a "clean slate" of my subscriptions and start anew. But I want to save my current set of subscriptions somewhere so that I can 1. revert back if I want and 2. browse old subscribed items that I want to include again in the future. So I was looking for a "save all subscriptions to profile" button on Steam, so that I could load different profiles of mods. Is there such an inbuilt feature and if not, are there / what are potential work-arounds? and in the top right you can find a button 'Create Collection'. Here you can save a current set or a selection of favourited items, or create a new set. Not the answer you're looking for? Browse other questions tagged steam steam-workshop or ask your own question. I've subscribed to an item on Steam Workshop - how do I download it? When do Steam Workshop mods download/sync? 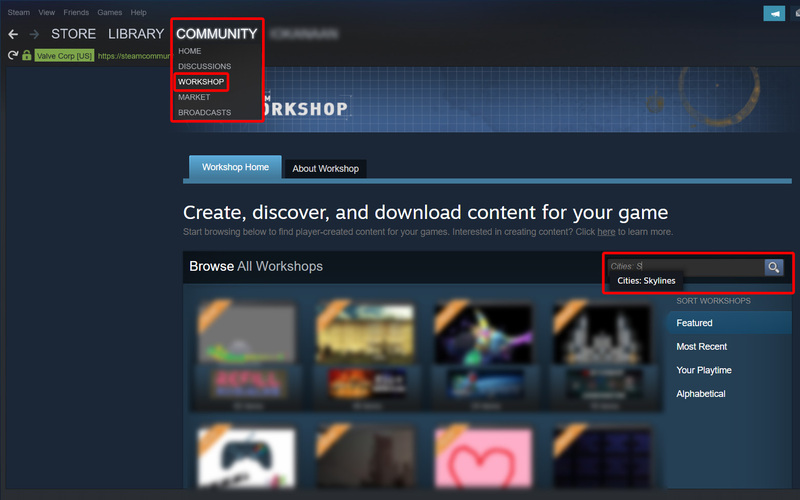 What happens to subscribed items if they are removed from the workshop?